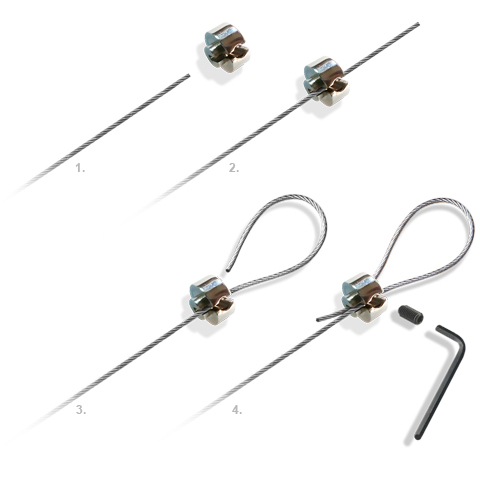 Cable Support can be used to create loops on Steel Cable or transparent Perlon Cord. It has an Allen Key bolt on it's side, that secures cables & cords once threaded through it's centre. Note: Recommended for cable / cord up to 2mm thickness.